At Shamrock Paint & Decorating Center we stock a full line of Benjamin Moore paints for all of your household interior & exterior paint projects. Our Shamrock Color Experts are on staff in both stores to help you find your perfect color! Giving your home a fresh coat of paint is an easy and inexpensive way to give life to any room in your house. Not only can fresh paint lighten the mood, but it can also keep dust and dirt at bay improving air quality and reducing the strain on air filters! Perhaps you want to lighten the color in order to make a room seem more open, or maybe you're looking for a bold color that makes a statement? With our extensive selection of quality paints, we can help select the perfect color to fit your needs! more than 3,500 paint colors. Save your pictures and their coordinating colors to your Favorites. Group colors in Favorites to create personalized combos. Download the Benjamin Moore iPhone app. Aura® delivers remarkable durability and offers the most advanced way to bring color to life. Using our exclusive Color Lock® technology, Aura paint brings you discernibly richer, truer color. Visibly thicker, Aura paint covers like no other—even in the deepest shades. 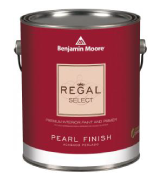 Regal paint stands up to today’s active lifestyles in colors and finishes that create the home you’ve always imagined. A premium quality coating featuring Advanced Particle Technology® which includes our proprietary 100% acrylic resin. This makes the finish itself more durable, providing for superior uniform coverage as well as easier touch-ups. Additional benefits include spatter resistance for easier clean-up, and superior coverage for a flawless finish in fewer coats. 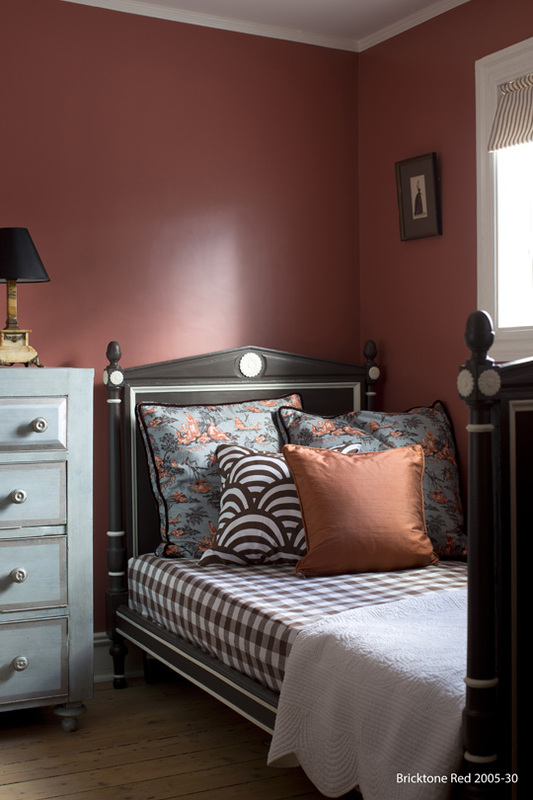 Ben offers great value with all the performance qualities you expect from a Benjamin Moore product. 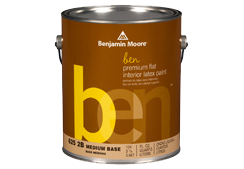 ben is a low VOC/low odor paint that applies easily, is very durable and covers well.